As one of North America’s oldest field crop experiments, the Old Rotation was one of the first experiments to demonstrate the benefits of rotating crops and including a winter cover crop to protect the land. It is open and free for the public to visit on Auburn University’s campus at the south end of the Davis Arboretum adjacent to Lem Morrison Drive. 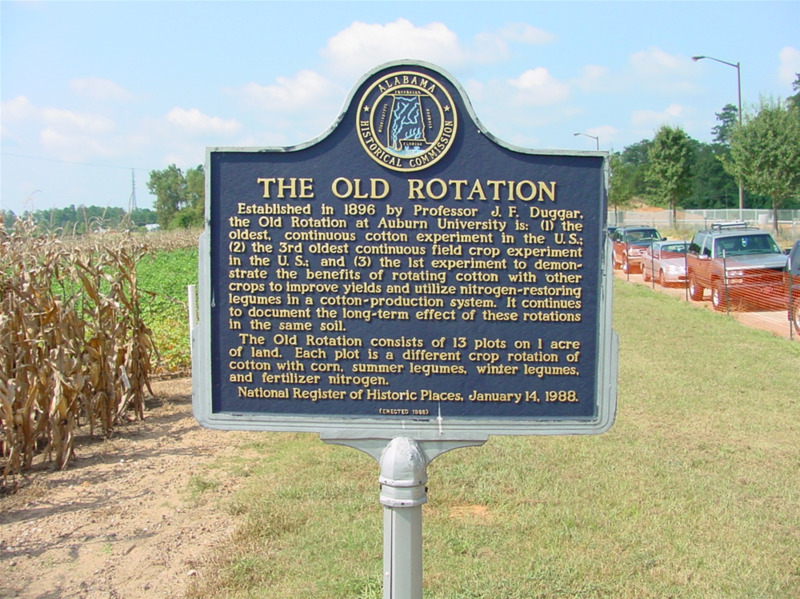 The experiment was placed on the National Register of Historical Places in 1988 as the oldest, continuous cotton study in the United States. Today, we know it as the oldest in the world.